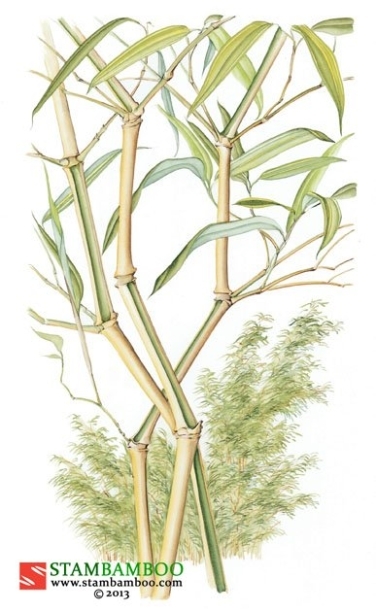 This medium-sized, upright bamboo has unmistakable canes: each of the joints has a rounded swelling below it, while at the base the nodes are crowded together, giving an interesting wrinkled and bumpy texture. 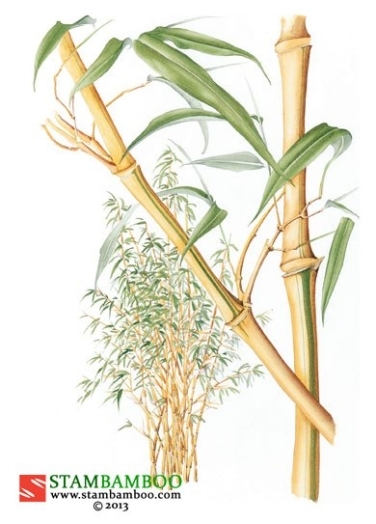 In Chinese this characteristic is celebrated in the many fanciful vernacular names, including Devil’s Face Bamboo, Bamboo of Many Knots and Crane’s Knee Bamboo. 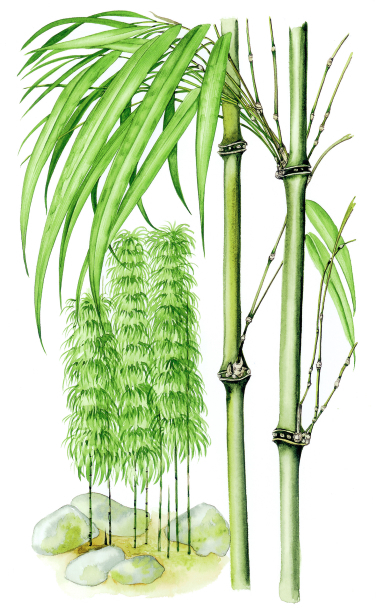 The leaves are bright green, as are the canes (despite the name) and in sun they turn yellow. 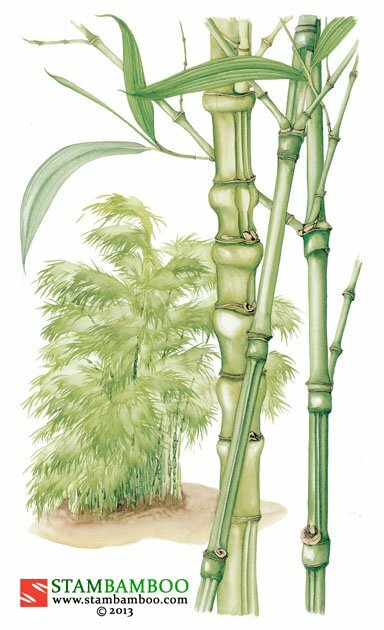 This versatile, vertical bamboo will grow in most positions, and will tolerate some periods of dryness. 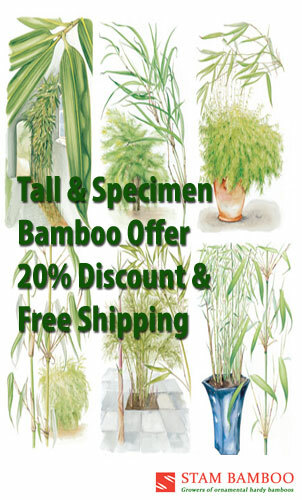 We use it in mixed planting (it gives bold structure at the back of a sunny border), as a screen, as a noble specimen and in containers – where it appreciates regular feeding.